Former No. 1 overall NBA draft pick and Humpty Dumpty impressionist Greg Oden was added to the draft pool of Ice Cube’s Big3 league. LaVar Ball, who is not his son Lonzo Ball’s agent, emptily threatened to not allow Lonzo Ball to re-sign with the Los Angeles Lakers in 2022 if the team doesn’t also sign LaVar Ball’s other two sons, LiAngelo and LaMelo, in the next three years. Meanwhile, Lonzo Ball, who has not played since Jan. 13 because of a knee injury, appeared on Paramount Network’s Lip Sync Battle alongside his father, performing Migos’ “Bad and Boujee” with the same amount of energy and flair he’s most known for. The Boston Police Department, kicking off a monthlong celebration of African-Americans, apologized to its Twitter followers for posting a tweet that honored former Boston Celtics coach Red Auerbach, who was white, during Black History Month. Phoenix Suns guard Troy Daniels, feeling froggy, tried to fight Denver Nuggets guard Will Barton on the court on Feb. 10 after Barton said, “They’ve got to send the whole Phoenix team to the G League” on a podcast following the Suns’ 48-point loss to the San Antonio Spurs on Feb. 7. Former major league pitcher Esteban Loaiza, not realizing how the movie Scarface ends, was arrested on suspicion of trafficking drugs after being caught with 20 kilograms of suspected cocaine by the San Diego County Sheriff’s Department. 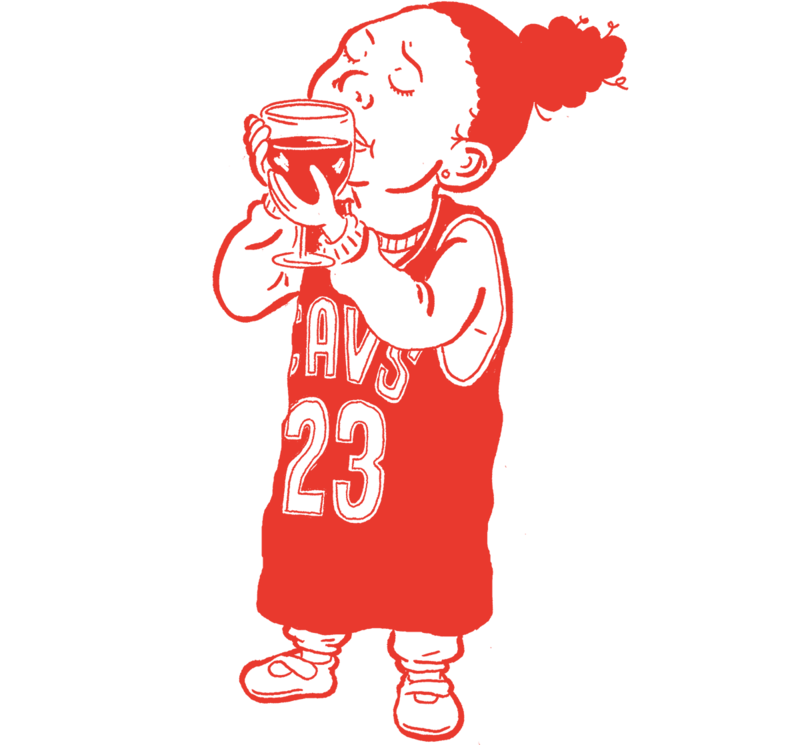 Zhuri James, the 3-year-old daughter of Cleveland Cavaliers forward LeBron James, is apparently a wine snob, calling an expensive brand “nasty” and telling her father it “tastes like rocks.” Former actor Mr. T, who once lost a fictional boxing match to Rocky Balboa, tweeted while watching the Winter Olympics that he has “nothing else to prove. Therefore I choose curling. #curlingiscoolfool.” Hip-hop artist Rick Ross, also a renowned professional basketball general manager, said the Miami Heat, currently in eighth place in the Eastern Conference, is “goin’ back” to the NBA Finals with the return of 36-year-old Dwyane Wade. Denver Broncos defensive lineman Von Miller, saying nothing of the three quarterbacks still currently on the team’s roster, is actively recruiting Washington Redskins quarterback Kirk Cousins with Kellogg’s cereals and rainbows. Once again illustrating the picturesque utopia that is social media, a Twitter user said he hopes Cleveland Cavaliers forward Larry Nance Jr. “rot[s] in prison” for what he “did to those girls,” confusing the professional athlete with convicted sexual predator Larry Nassar. In a decision that will surely lead to head coach Brian Kelly blaming someone other than himself, the Notre Dame football program’s appeal of a decision to strip the team of 21 victories between 2012 and 2013 was denied by the NCAA. Milwaukee Bucks forward Giannis Antetokounmpo, putting the “freak” in “Greek Freak,” flaunted a suggestive Valentine’s Day gift from his girlfriend on a video livestream, telling the camera he’s a “freak on the court and on the sheets.” Oakland Raiders kicker Sebastian Janikowski, who, at 39, is still in the league, was informed by the team — thus by head coach Jon Gruden, who drafted Janikowski in the first round in 2000 — that they don’t plan to bring him back for the 2017 season. Golden State Warriors forward Draymond Green, he of the $85 million contract, had to pay Portland Trail Blazers guard Evan Turner $100 because Ohio State, Turner’s alma mater, beat Green’s Michigan State in basketball last month. 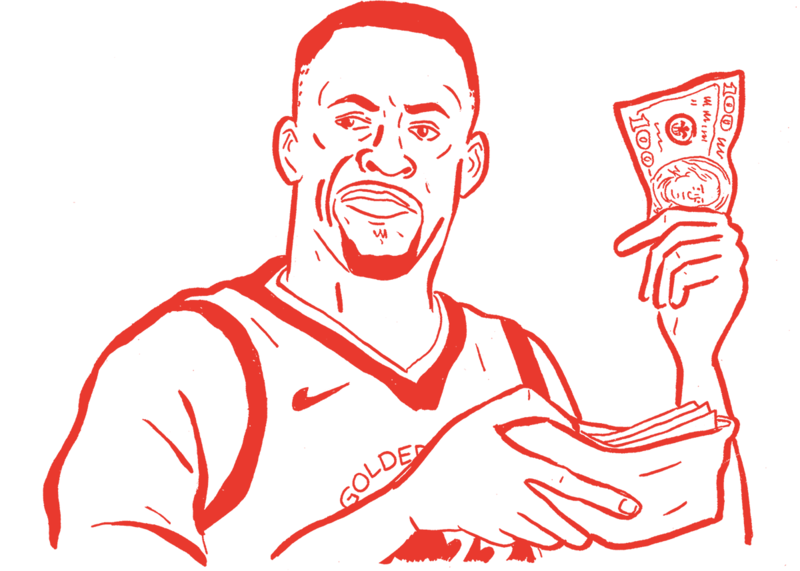 Green’s teammate Kevin Durant, without a hint of irony, was one of a handful of investors who poured $9.5 million of funding into a social media app. 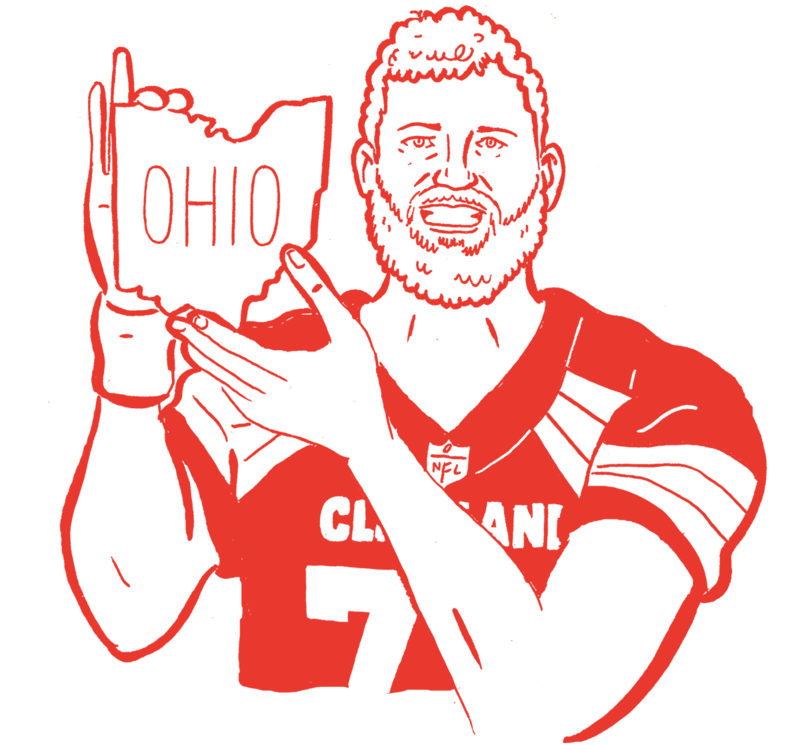 Cleveland Browns offensive guard Joe Thomas, who, too, already has a quarterback on his roster who may not take too kindly to his begging, is selling Cousins on Ohio, which is “nice this time of year,” as a free-agency pitch. 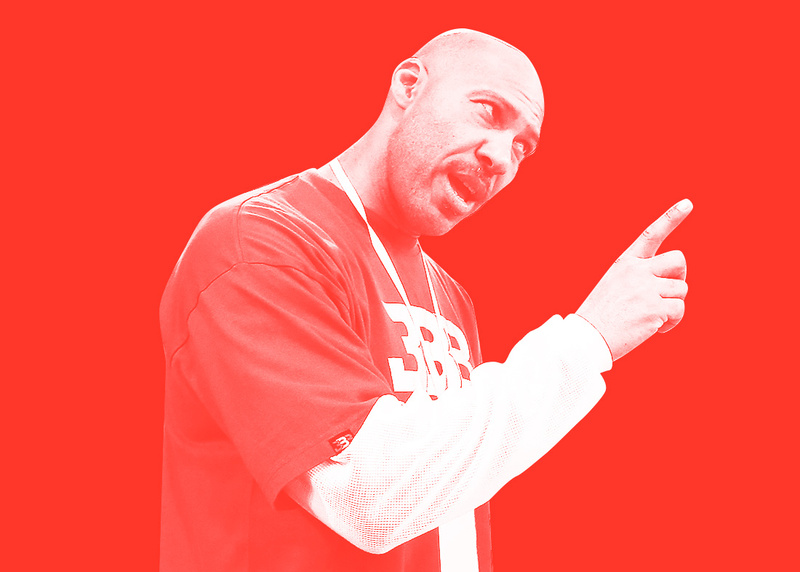 Lakers fans have been emailing and calling the franchise because of delivery and customer service issues with LaVar Ball’s Big Baller Brand, which, if you recall, was given an “F” grade by the Better Business Bureau. Musician Kid Rock, who is worth an estimated $80 million and spent most of 2017 running a fake U.S. Senate campaign, reportedly is interested in purchasing the Carolina Panthers, valued at more than $2 billion. Retired professional wrestler Ric Flair, who tweeted “#metoo” and “#timesup” earlier this week despite, per an ESPN documentary, allegedly exposing himself to multiple women in the past, removed the “WOOOOO Compromise,” a sexual consent contract, from his website.